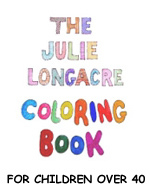 If you have always wanted to create your own artwork but didn't know how to start, with Julie's coloring books, here is your chance. 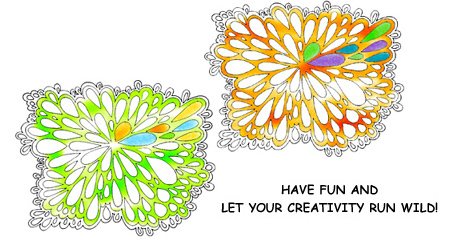 simply by returning to the FUN of Coloring! 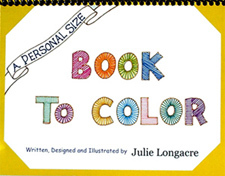 USE JULIE'S PERSONAL INSIGHTS TO HELP YOU THINK LIKE AN ARTIST! HERE IS A GREAT EXAMPLE . . .
purse or briefcase and take it wherever you go to enjoy a relaxing few moments of coloring.